There are a few destinations in this world that it’s no use rolling up to and expecting them to conform to your expectations. They’re just too sprawling, ambitious, multi-faceted and, ultimately, exhausting. On this list, I’d include New York, Tokyo, London and Paris. Maybe even Los Angeles, although there’s really only parts I visit and I already know them very well indeed. The world’s great cities can never be fully explored in one visit. Not even several, maybe not ever. They are constantly evolving, changing from visit to visit, always presenting differing tangential aspects like a slowly shifting kaleidoscope. They forever intrigue and spellbind, confound and delight. Visitors can never expect to completely understand them. They are spectres glimpsed fleetingly in your peripheral vision, slipping off into infinity and lost forever. The first time I visited New York, I had a list of things I wanted to see and do. At the end of a week, I hadn’t explored beyond mid-town. To this day, much of the list remains. There is just too much and too little time. I still haven’t been to the Statue of Liberty although I’ve glimpsed it from all angles with my favourite being from Battery Park. I haven’t explored the boroughs and I’ve never been to the top of the Empire State Building. Whenever I’m there, I often revisited the Metropolitan Museum for the recreated Frank Lloyd Wright room from Wayzata, Minnesota; The Paley Center For Media (if I have a spare day) to settle in and watch those obscure television programs I can’t find anywhere else; a martini in the Oak Bar of the Plaza Hotel to relive a North By Northwest moment (overlooking the point that the scene was filmed on a Hollywood soundstage); shopping at Bloomingdale’s (although I don’t think I’ve ever bought anything there; I have more luck at Macy’s), and testing the limits of my baggage allowance at the Strand Book Store. I’ve moved beyond the disappointment of not ticking off the entire New York list and that’s probably the key component to surviving the world’s great cities. Don’t get too ambitious. It’ll always end in tears before bedtime. I was just as ambitious when I first visited Paris. Again, I had The List; I spent more time on the Metro, criss-crossing the city, than actually experiencing what I wanted. On subsequent trips, it occurred to me that a far more logical way of dealing with Paris was to stay in a different area each time and just explore within that arrondissement. 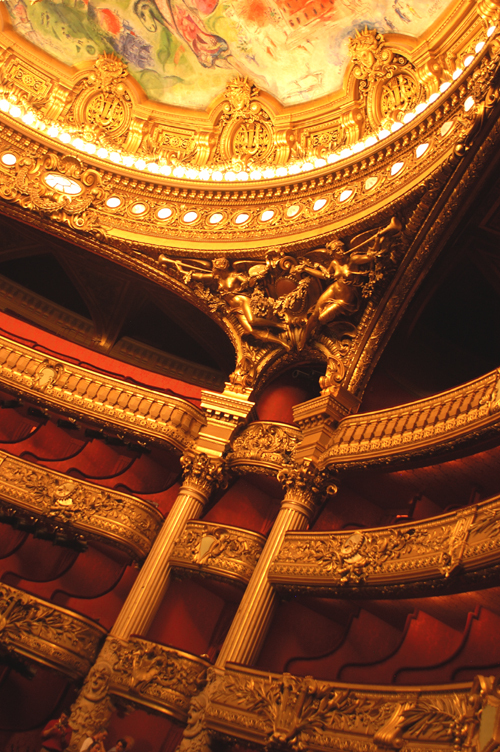 In the 2nd arrondissement, I’d stay at the InterContinental Paris Le Grand, preferably in a room overlooking the Opéra Garnier, which is always worthy of a few idle hours to marvel at the understated decor. 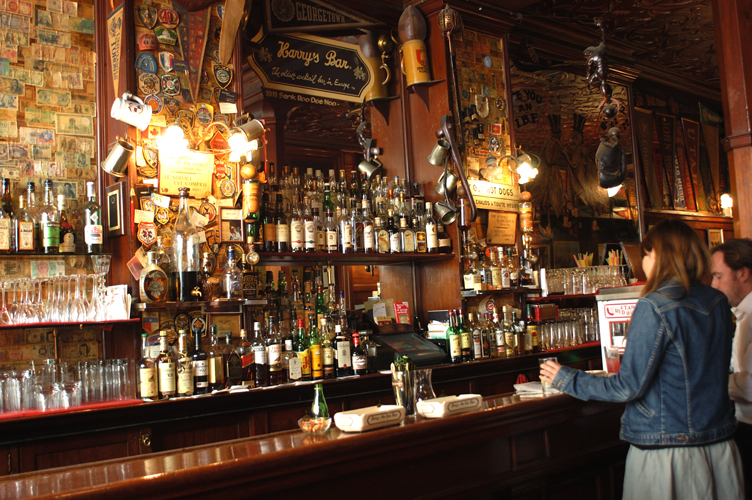 It’s a short stroll down the Avenue de l’Opéra to Harry’s New York Bar for le hot dog and a Bloody Mary, which more than a few of those in the know claim was invented right there. Sitting within the cosy wood-panelled rooms, where Hemingway, Scott Fitzgerald and other members of the Lost Generation congregated, it becomes a literary pilgrimage on par with Shakespeare & Co. In the 6th district, around Saint-Germain, there are so many small hotels with similar charm and pricing, it’s difficult to choose just one. And there’s much to do in the area. 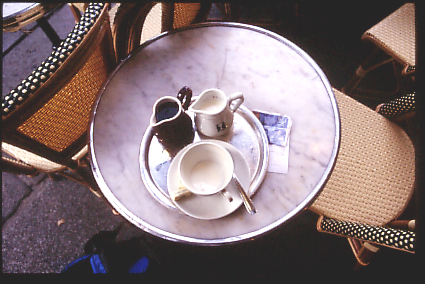 An outdoor table at Le Deux Magots, pointedly ignoring the tourists, or a short walk down the Boulevard Saint-Germain-des-Prés to the jazz clubs or a movie (preferably Woody Allen or Jerry Lewis, in VO). Or the small restaurants that seem to proliferate like lapin between the Boulevard and the Seine, where the mixed-priced menus are very reasonable, if you feel like French onion soup, duck and crème brûlée, as good a meal as any if the fancy takes you. And, afterwards, a browse through the Taschen store on the Rue de Buci. So the key to survival is simple: don’t even think of compiling The List. Just take your time and enjoy what’s happening around you.